THE "TOUCH OF HOME" IN PARADISE. Papakea is a true tropical oasis. 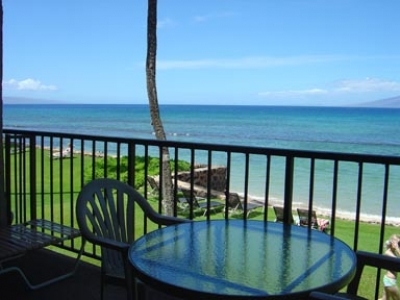 One of West Maui's most spacious low-rise condominium resorts, it occupies more than 13 acres of beautifully landscaped tropical gardens with 870 linear feet fronting the ocean on beautiful Ka’anapali beach. Visit this tranquil paradise of freshwater lagoons, koi ponds, quaint bridges, and expansive lawns. Within walking distance of Papakea are a big shopping center, a large grocery store, a farmer’s market, and several local dining spots. Easily reached by car are many beautiful beaches, golf courses, art galleries, fine dining, and more fun shopping. Papakea's guests can enjoy free tennis -- day and night -- and hours of soaking in two of Maui's largest oceanfront whirlpool spas, two gracious swimming pools on Papakea's beautifully landscaped grounds as well as four saunas, two putting greens, two shuffleboard courts, and twelve barbecue grills.